​Home -> About -> Maintain -> What Is A Waterfall Filter? A biofilter has one single function... to purify fish excretions which are part of the natural respiratory and feeding function of pond fish. 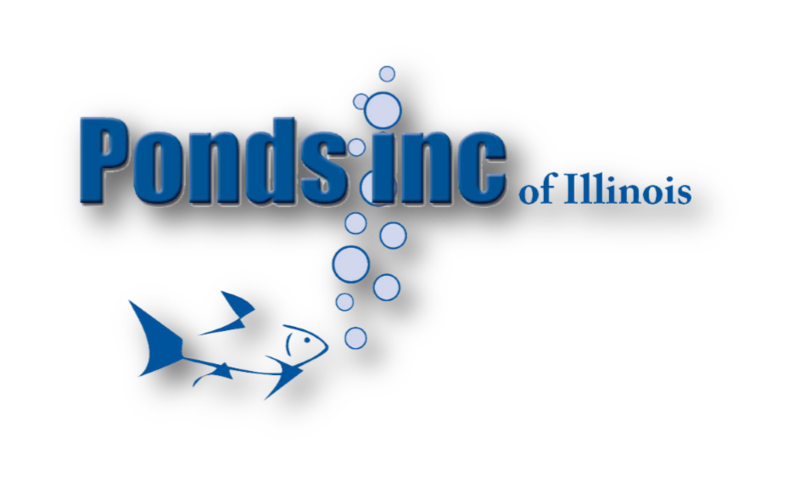 Filtration is one of the most important elements of your Chicagoland area pond system. The filter not only removes debris but, more importantly, your filter converts toxic substances into harmless ones. A good system is of key importance in keeping your water crystal-clear and free of chemical pollutants. 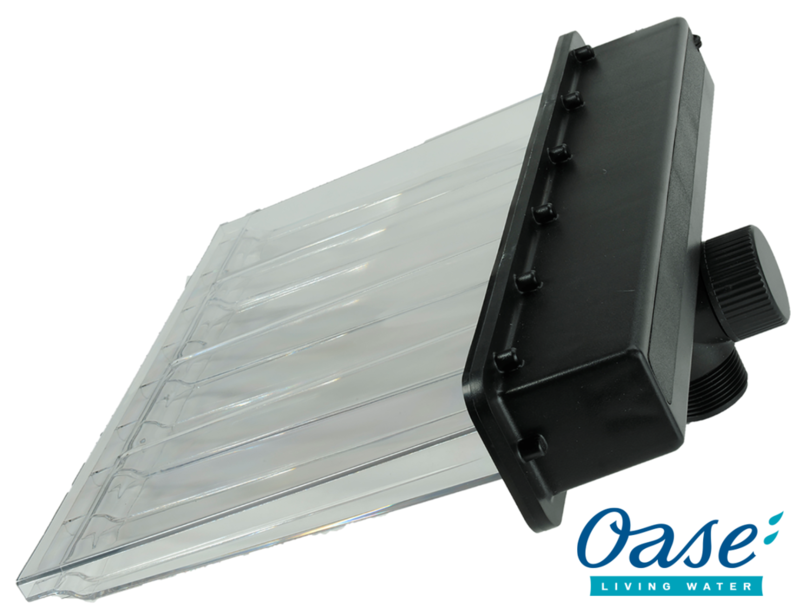 We Install A Variety Of Waterfall Filters To Fit Each Of Our Project's Special Needs. Biological filtration is where your system provides a place for beneficial bacteria to grow on special media. The system focuses the growth of bacteria. These bacteria remove harmful pollutants,through a natural process, from pond water. Known as the " Bio Filtration " or " bio reactors " these beneficial bacteria convert poisonous compounds such as ammonia and nitrite, into less toxic nitrate. The end by-product, nitrate, is used as a food source by aquatic plants. This continuous process is called the nitrogen cycle. This type may be the most important filtration process in a pond system containing koi or goldfish. 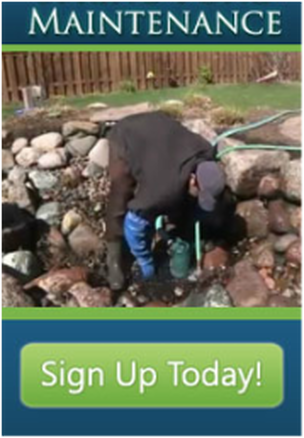 If you live in the Chicagoland area and own a pond without a Biofalls Waterfall Filter contact one us today. Your Fish are depending on us to save them!! 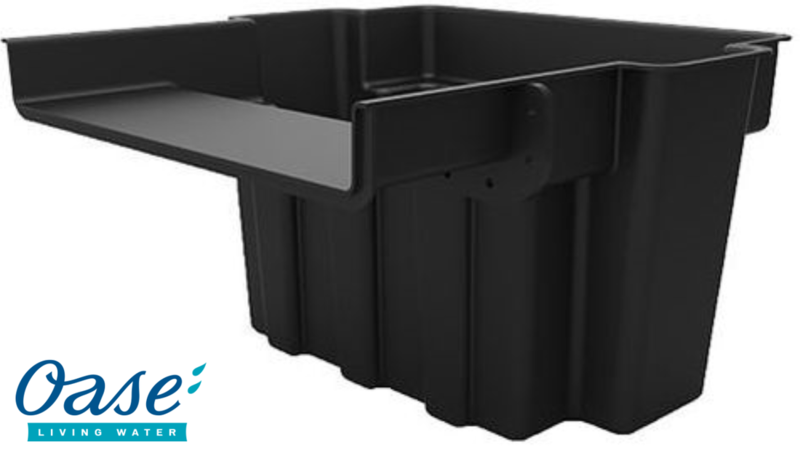 The biological waterfall & pond filtration unit is the starting point of your waterfall. The filter mats and media provide a home for the beneficial bacteria that help clean the pond. 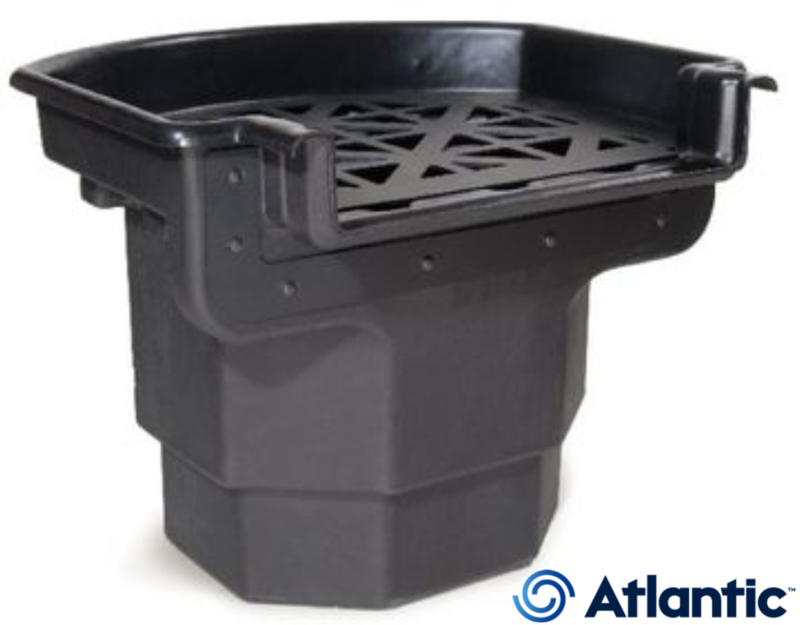 It is designed for general maintenance/once-a-year cleaning when used in combination with a Skimmer or Disappearing Waterfall Vault prefilter, ensuring that large debris is filtered from the water before it reaches the waterfall filter. Most ponds don't require the filter mats or filter media bag in the BioFalls® Filter to be cleaned more than once a year. Cleaning them, especially with chlorinated tap water, more often will reduce or kill the beneficial bacteria growing on these filters. Replace old filter mats after several years, when they begin to tear or fall apart. The filter mats can be removed for annual cleaning through the wider opening at the front of the rack. Colorfalls adds a breathtaking new dimension to a water feature - waterfalls with shimmering details in white or blue hues. 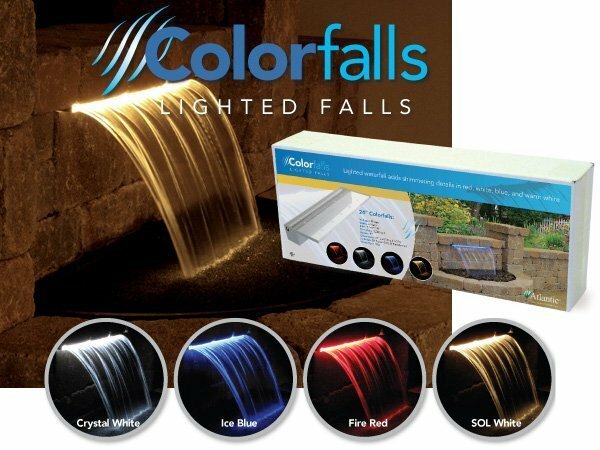 You'll be able to enjoy the beauty of your water feature day or night with Colorfalls. When the sun goes down, the lights go on and a beautiful blue or white glow is cast upon the water cascade. Waterfalls pack more than visual impact - they supplement ponds oxygen, boosting ecosystem health for fish and plant life. The Lighted Waterfall with blue LED lights has a 12 in. wide spillway; the Lighted Waterfall with white LED lights has a 14 in. wide spillway.